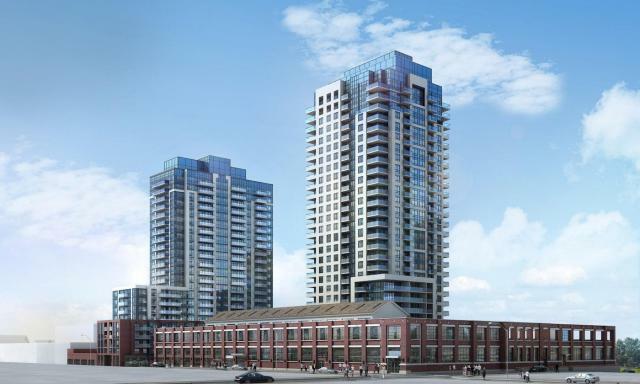 Fuse Condos is a new condo development by Neudorfer Corporation currently under construction at Lansdowne Ave in Toronto. The development includes 2 towers as well as loft units in the podium above the Shoppers Drug Mart and 24 hour grocery store. Tower 1 has started occupancies with tower 2 to follow this Spring. Sales for available units start at $270,900. The development has a total of 576 units.